One important aspect of you choosing to start playing blackjack online is that you need to play at fully licensed and regulated online casino sites. For by you ensuring that the casino site you are playing at is licensed, and licensed by one of the stricter gaming licensing jurisdictions, then you will be assured that the games you do end up playing are completely fair and random. 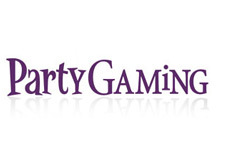 One gaming platform supplier, whose gaming platform has a large and diverse range of different casino games available upon it, including more than enough Blackjack games is Party Gaming. You will find several online casino sites now utilize their suite of casino games and their gaming platforms, and each of the casinos offering their range of games holds a full and valid gaming license in many different countries of the world. In fact you will find that many land based casinos offer the range of Party Gaming designed games at both their online and mobile casino sites, and as such by opting to play at one of those casino sites online then you will be assured of playing at a casino you can trust and one that always adheres to the very highest industry standards. In this Party Gaming Blackjack game guide you will find fully listed below every single one of the currently available online Blackjack game variants offered by casino sites using the Party Gaming software platform, and as such you should have a good read through of this listing as by doing so we can guarantee that you will find several of these variants will tick all of the right boxes in regards to what you look form a Blackjack game. We have also chosen to list alongside each of the available Party Gaming Blackjack game variants the house edge that each game has to offer players, but be aware that to get the house edge down to the figures quoted you will need to play each hand perfectly and never make any game play errors, so for example you should always be looking to split aces and should never take insurance when offered to you. 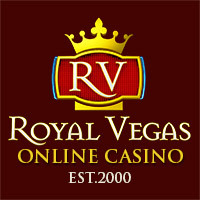 If you come across a few online casinos offering you these range of Blackjack game variants then always make sure you find out what each casino site has to offer by way of player comps, as each online casino site will have their own unique comp club and by hunting around and comparing the comp clubs you will often find you can secure a range of additional extras based on your level of real money gaming action at these sites. Plus as many online casinos that use the Party Gaming range of Blackjack games also offer new player and ongoing bonuses to their Blackjack and casino game players you can often pick up a large amount of bonus credits when you choose to make a deposit and play at those sites. Single Player Blackjack – 0.55% is what you can get the Single Player Blackjack games house edge down to if you play this game with perfect strategy in place. This game is another Blackjack game variant from Party Gaming which offers a late surrender option and has a total of eight decks of cards in the shoe. The Dealer plays any hand worth a soft 17 by hitting those hands, and will peek as this game is a hole card game. Players will be able to double down on any two initial cards and can double down when they have split any pair of cards. Bonus Pairs Blackjack – Eight decks of playing cards are in the Bonus Pairs Blackjack game variants shoe and this game can be a game offering a house edge of 0.55% if you put into play the best playing strategy. Getting dealt out a soft 17 will see the dealer then hitting those hands, and players will see the dealer peeking as this game is a hole card game. You can double down on any two initial cards that have been dealt out to you and players can also choose to double down even after they have split a pair of cards. High Limit Blackjack – The High Limit Blackjack game available at Party Gaming powered casinos has eight decks of cards in the shoe, and when played optimally you will get the house edge down to a low 0.55%. When faced with a hand worth a soft 17 or lower the Dealer will hit those hands until worth a hard 17 or higher. This High Limit Blackjack game is a hole card game and players can double down on any two cards that have been dealt out to them, and players are going to be able to double down after they have split a pair of cards. Multi Player Blackjack – Eight decks of cards are in play in the Double Deck Blackjack game which is found in the gaming suite of casinos using the Party Gaming suite of games. You are able to double down when playing this game on any two cards dealt out to your hand, and can double down after splitting any pair of cards. The Multi Player Blackjack game from Party Gaming is a hole card game and a late surrender option is available, perfect strategy will get the house edge down to 0.61%. Multi Hand Blackjack – You will be able to play Multi Hand Blackjack at Party Gaming powered online casino sites and by doing so you will be playing a game on which the house edge can be as low as 0.61% when you play this game optimally. This variant has eight decks of cards in the shoe and the dealer peeks on aces and hits on all soft 17 hands. A player is able to double down when dealt out any two initial cards and will then be able to double down when they have chosen to split a pair of cards no surrender option is offered on this blackjack game.